The ADCI800F-D021A Illustra Flex 3MP Outdoor Network Mini Dome Camera from American Dynamics uses a 1/3" CMOS sensor to capture 2048 x 1536 resolution video at 15 fps. 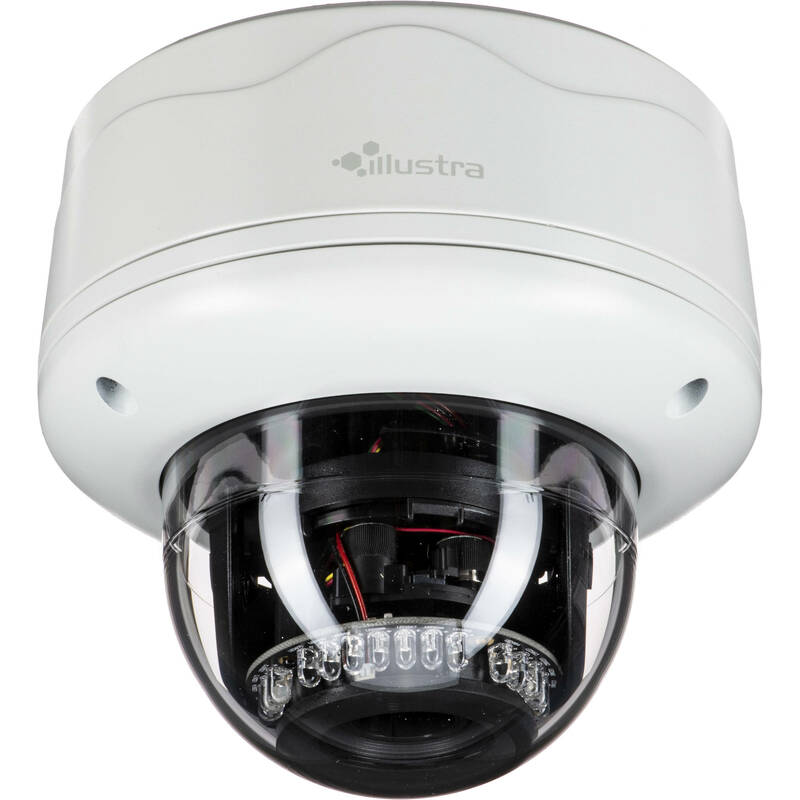 IR LEDs provide up to 50' of night vision. The camera's 3-9mm varifocal lens delivers an 86 to 30° horizontal field of view. The camera is equipped with an audio input and output. An onboard memory slot accepts microSDHC/SDXC cards up to 64GB (available separately). Integrated PoE technology simplifies connectivity by enabling the transfer of power and data through a single cable. This camera complies with ONVIF profile S, making it compatible with a wide range of surveillance devices. It is housed in an IP66- and IK10-rated enclosure that is suitable for outdoor use in areas at risk of vandalism. Box Dimensions (LxWxH) 9.0 x 8.95 x 8.3"